Like many of you, I love to go to history museums, espeically military related. I've been slowly but surely posting all those pictures I've taken, and the latest is the National WW2 Museum in New Orleans that I visited last year. 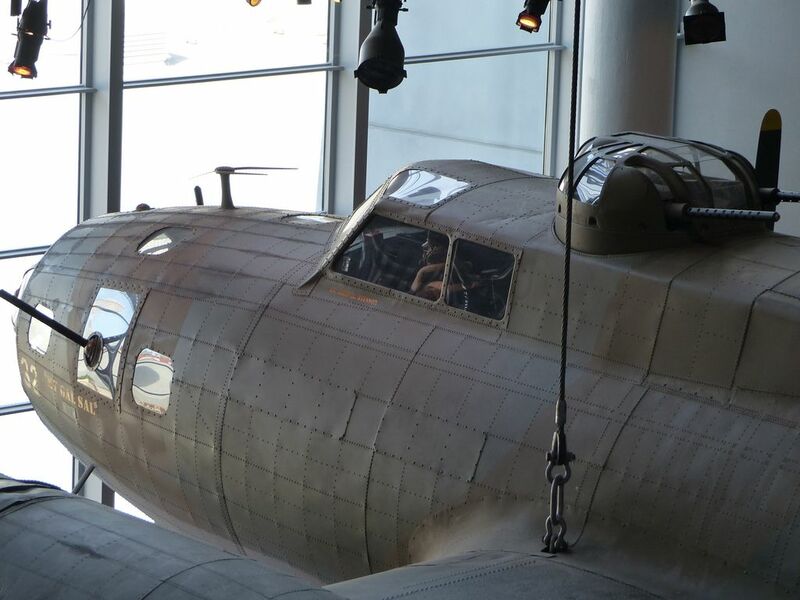 Here's a shot of their B17 hanging from the ceiling. Here's the link to the pictures for those interested. Hope to visit there one day. My wife's family bought a "brick" and donated some artifacts on behalf of their dad, who jumped with the 507th PIR prior to the D-day landing. Thanks for posting the pics! BTW, that can't be a real B-17...it has raised panel lines. LOL, I didn't have time to rescribe the thing. :) Definitely worth a visit, and thanks for your family's donation and your father-in-law for his part in WW2. That must be the MiniHobby "Copy". At 1/1.1 scale. Amazing what they can pantograph. Thanks very much for the link. Terrific pictures. Thanks for the link to those pics! Very well taken. Only problem with taking pics of items in cases is the reflections. You didn't get too much of that. Great job. What model of B-17 is/was it, E/F/G? Great pics. It's a fantastic museum. I want through it a few years back and thought Katrina had damaged it. Seeing the enigma machine was impressive.